Born at Wellington, Ontario on 11 May 1871, the son of Thomas M. Harrington and Margaret Thomson, he attended Winnipeg Collegiate Institute for some time, interrupting his education to work in the Paulin biscuit factor until the age of 16 when he resumed his studies at the Collegiate. He graduated with an MD from Manitoba Medical College in 1899. He worked for a year as house surgeon in the Winnipeg General Hospital then six months at the St. Boniface General Hospital, then a year specializing in smallpox quarantine cases. He then moved to Dauphin where he practiced medicine for some 40 years, rising to head surgeon at the Dauphin General Hospital. He served as President of the College of Physicians and Surgeons of Manitoba (1916). 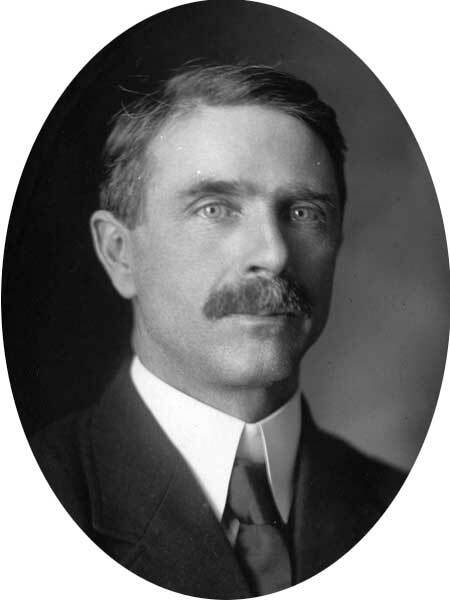 On 14 October 1904, he married J. E. McCreight (?-?) of Scarborough, Ontario. They had two sons, Gerald Harrington (1906-?) and Scott Harrington (?-?). His wife died and he married again, to Belle Laidlaw (?-?). He enjoyed curling and golf, and was a keen big game hunter. He was a life member of the Manitoba Curling Association. He was active in local politics, being President of the Dauphin Liberal Association. In 1915, he was elected to the Manitoba Legislature for the Dauphin constituency, serving a single term, being defeated in the 1920 provincial general election by George Palmer. He died in Winnipeg on 13 September 1941 after a short illness, enroute home from a medical conference.